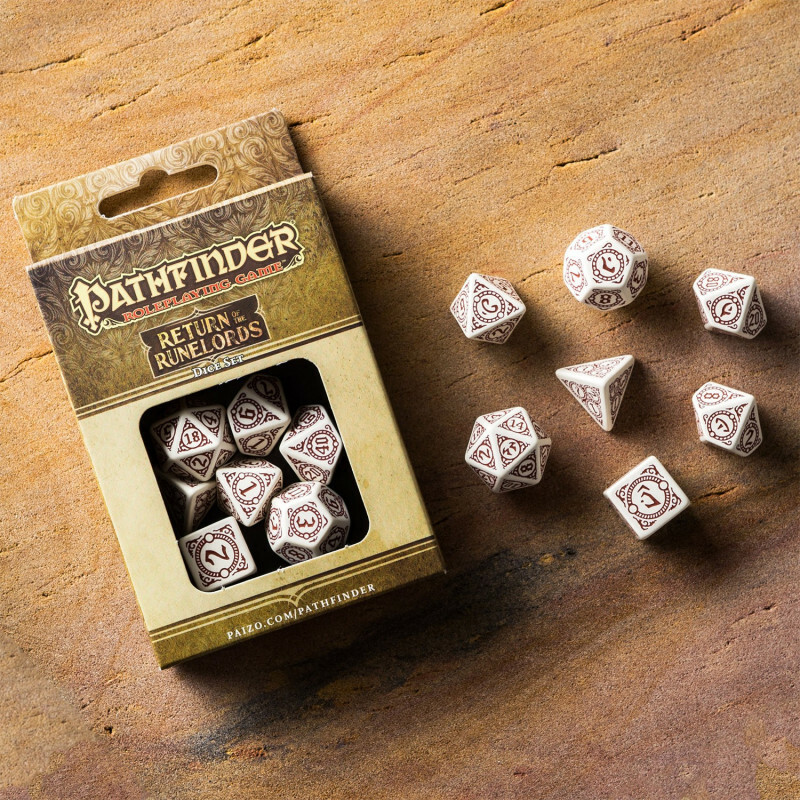 The newest Pathfinder Adventure Path: Return of the Runelords from Paizo Inc with our dice set can be next Empire Strikes Back because this time all six other ancient Runelords will return and change Golarion forever. Think about one of the best RPG campaign ever. 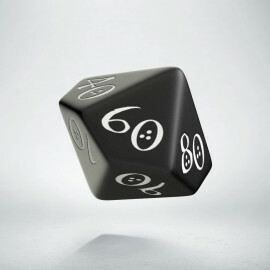 Did you smile and try to remember the best moments and lucky dice rolls? The best what can be done to feel the same, is to play the sequel, better and more thrilling. The return to old good adventures with the new team can be great but never gives the same fun. The adventures must be new, not grody ideas, even if they were unforgettable. 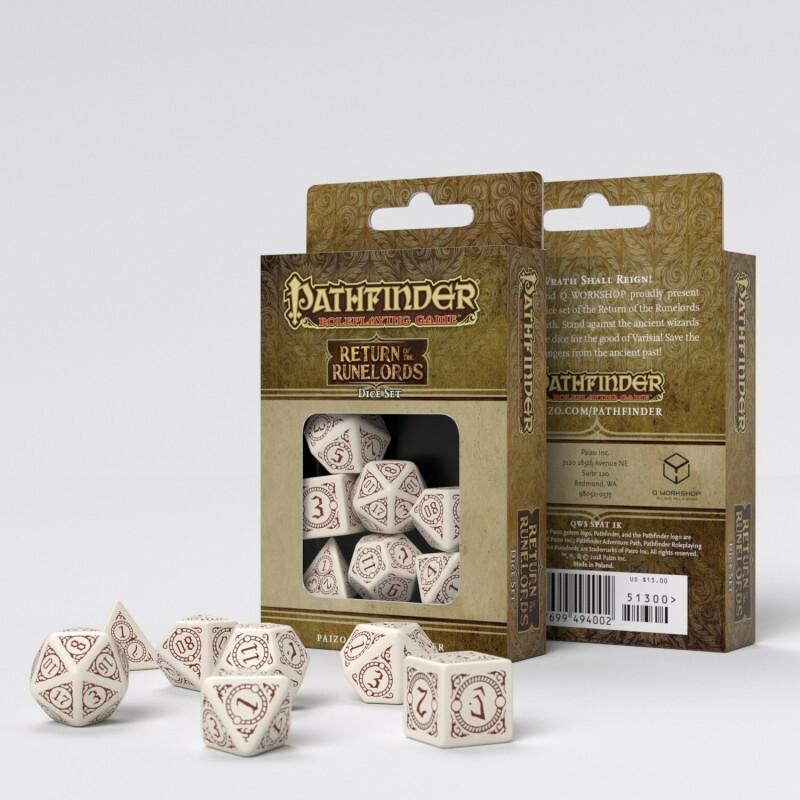 The newest Pathfinder Adventure Path: Return of the Runelords from Paizo Inc. can be next Empire Strikes Back because this time all six other ancient Runelords will return and change Golarion forever. We in Q WORKSHOP have had the pleasure of designing and making set for this new campaign. The first set for Rise of the Runelords was one of our bestsellers. 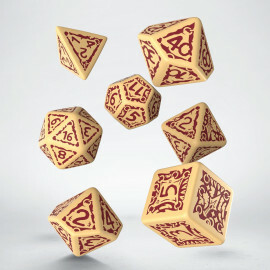 The new dice are made from the best material in cream color, as the old parchment that can be the chronicle of heroes brave deeds. The complex engravings are painted in brown, to create the vintage old ink look that only the latest technology can give. What is better in this sequel dice? The digits are bigger and more readable, the cream color is nobler and the contrast color scheme is more user-friendly than in any other Pathfinder Dice Sets. Try them and return to the game for the future of Pathfinder universe. WITHOUT SPOILERS (maybe very very small, teeny-tiny ones) - Why our dice are the best for the sequel of Rise of the Runelords? Secrets of Roderic's Cove – all big things should start small, but with magic fire and sword, because it's only the beginning of the end of known Golarion. 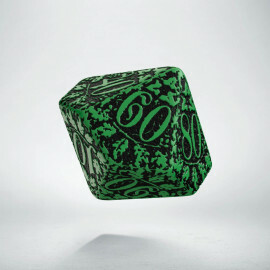 You need lucky dice for many fights. Believe me. It Came from Hollow Mountain – deep down underground in notorious Hollow Mountain, there will be only heroes and the set of dice that should support them in time of need. 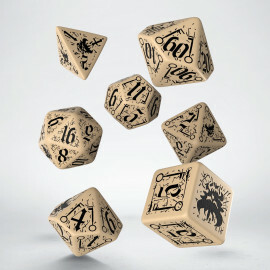 Runeplague – there will be the time when only one roll of the die can save the team from grave danger or else they become monstrous minions of the Polymorph Plague. 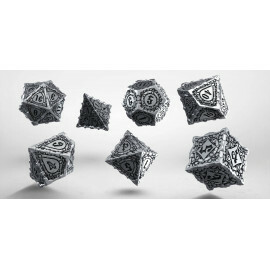 Temple of the Peacock Spirit – sometimes you need to be aware that there are secrets on Golarion, that only bravery and good fortune in dice rolls can uncover. 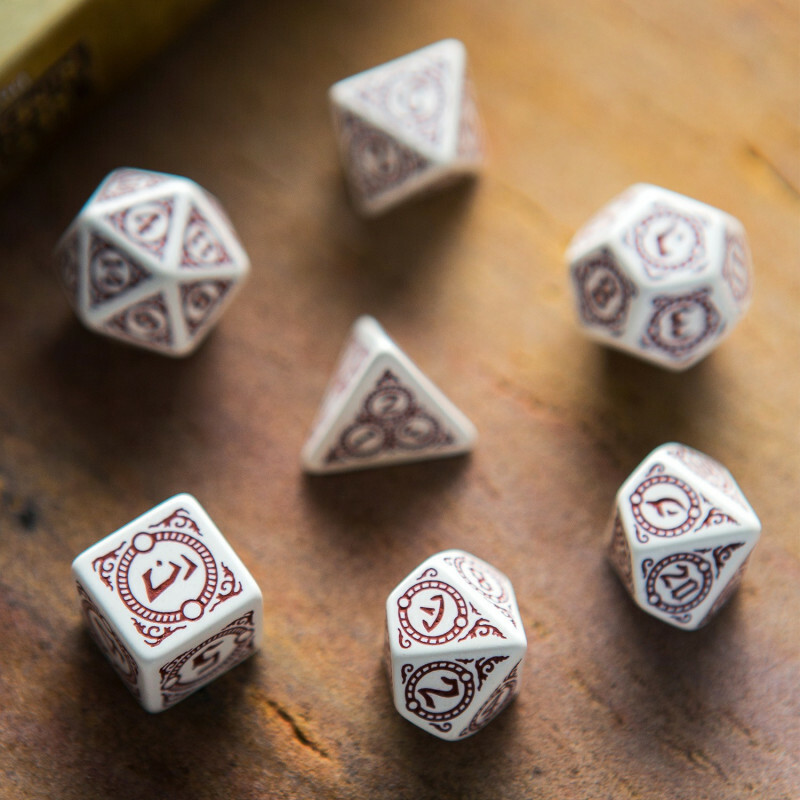 The City Outside of Time – only wise choices and a bit of luck during a test can help you find the key to saving a storied nation from the wrath of a runelord! Rise of New Thassilon - strange mysteries and dangers await in the depths of time itself because Big Bad Runelord is Time Master himself (You know what you need from the earlier entries).